Sensory is when we use our senses to explore and learn about our environment. 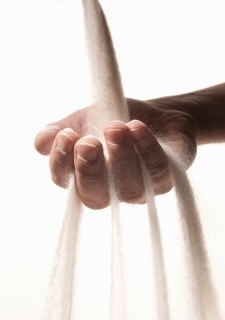 Some sensory helps us relax while other types of sensory can cause stress and discomfort. Everyone perceives sensory differently and have different reactions to sensory. For some it is the smell of a flower, the feel of a blanket, the movement in a fish tank, the taste of a favourite food, or even the sound of leaves rustling in the wind. Everyday we encounter stress in our daily lives from sensory such as fluorescent lighting, temperature of a room being too hot or too cold, the feel of a clothing tag or seam making us feel itchy or uncomfortable and cause additional stress. Stress can leave us feeling uncomfortable with symptoms such as headaches, irritability, nausea, tight muscles among a wide variety of other symptoms. Sometimes we may not even realize how uncomfortable we feel until our environment changes either; through our own actions, or by the actions of others who support us. Sensory is often used to help regulate ourselves but it often goes unnoticed as they are common everyday actions such as playing with our zippers, necklaces, pens, or even a strand of hair during long meetings, waiting, or times of great stress. Sensory is a great way to bring stress down and create focus. When we are less stressed we are better able to learn, problem solve, self regulate and be more self aware. Have you ever tried to sit still and relax or meditate when you are stressed? The ability to stop during stressful times and meditate is a skill not everyone has, especially children who are constantly on the go. That is why play is so important! Through play children accomplish much of their learning as well as relaxation. The trick is to find a way to help children immerse themselves in play that is designed to enhance their growth developmentally. Sensory offers many opportunities to find things we enjoy, and when we are happy our bodies produce endorphins which help us feel good. When we feel good we are more engaged with our surroundings and open to learning. Join us for a morning play group that gives you a chance to ask questions and get developmental support from an Early Childhood Educator while relaxing and exploring activities in a multi-sensory exploration space. This is also a great opportunity to get out and meet other parents and caregivers. Every week there are different activities geared specifically to those who are registered to attend. I work with individuals on a one-to-one basis and come alongside to provide support to families as well as children who are experiencing challenges. These challenges could be physical, emotional, social, or cognitive. 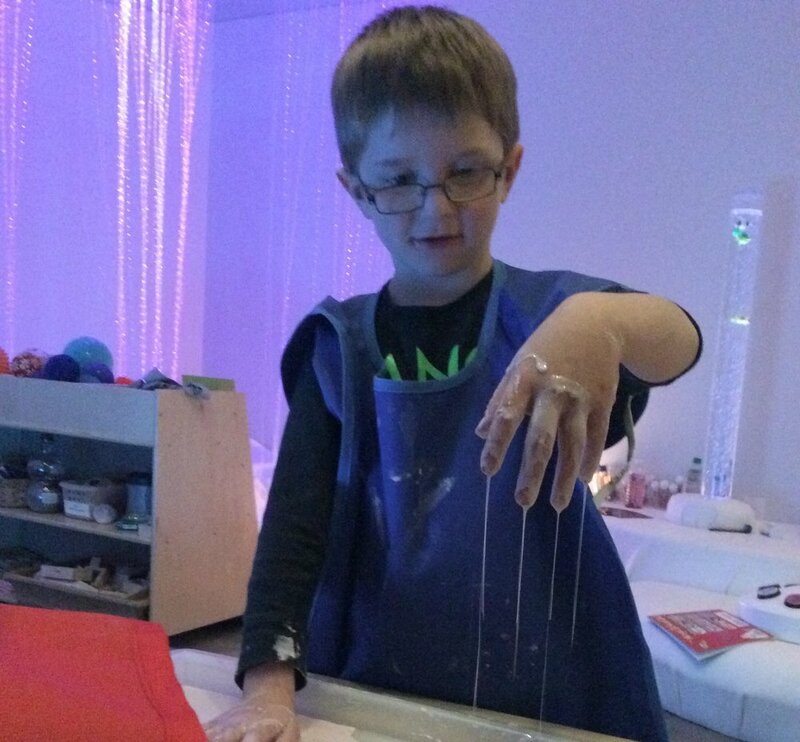 I work through fun sensory activities with children (newborn - 12yr) and talk with parents and provide support to them in finding alternatives that support learning and development in a safe engaging environment. 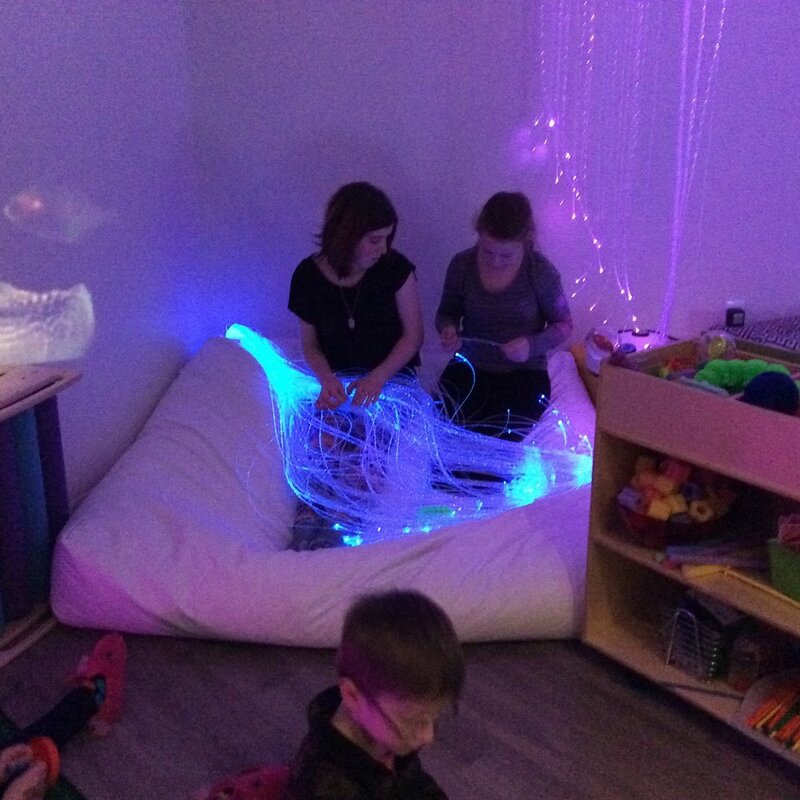 This time provides 60 min in the sensory room to enjoy the space as well as sensory activity that they get to take home with them at the end of their visit. There is a capacity limit of 6 people (adults and children) for the space to ensure that the everyone has a quality visit.